When school starts again next week, our students will return to an impressive new Cohn Campus. Seeing the end result of the transformation that took place over the summer, it is easy to forget all the time, sweat, and hard work that went into making all these changes possible. ISTP’s maintenance team, working alongside the general contractor’s crew throughout the summer, was the central force that helped make our vision for Cohn Campus a reality. The ISTP community is truly in debt to the team, including Facility Manager Nic Guèdenet, and Maintenance Associates Joel Ockimey, Ramiro Rodriguez, Jose Barron, and Rafa Barron. From demo to painting, to constructing furniture and eventually putting our classrooms back together, the maintenance crew had a hand in every project happening on Cohn Campus. 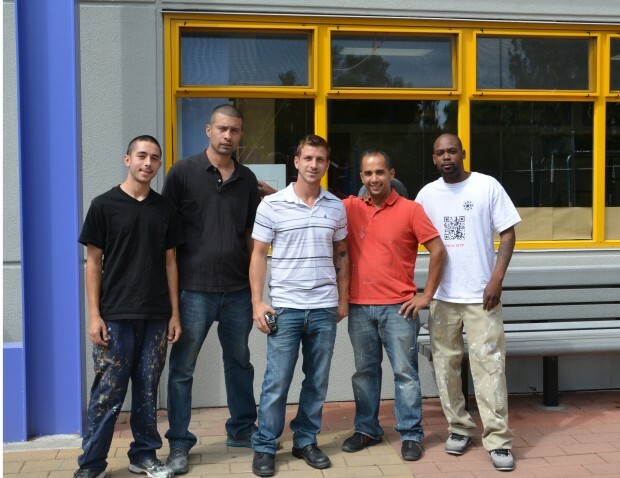 The crew was in charge of repainting every inch of the school, inside and out. This “saved ISTP a lot of money compared to what the contractor would have charged for the same service,” reports Director of Finance and Operations François Guèdenet. “They did all the normal things they do each summer, in addition to all the exceptional things they had to do for the renovation,” Francois adds, which added up to a monumental undertaking. Vance Brown Contractors brought a huge crew to Cohn as well, and throughout the summer the campus was swarming with workers all working towards finishing the renovations on time. All these workers had to be organized and supervised, “Nic did a tremendous job coordinating all our personnel and coordinating with the general contractor,” Francois says.